As you would expect the virtualisation communities are abuzz with talk of VMworld US starting next week in San Francisco. I’m going to be watching with a very keen eye to all the news and tweets from fellow virtualisation experts(not that I am an expert) about the event as most of the information that will be coming out of the US event will most likely be repeated and re-covered at the one in Copenhagen(of which i am attending 🙂 ). Hopefully I can learn what the best sessions were and make time to try get to as many of them as possible if they are replicated at VMworld Europe.Ed Grigson of vexperienced.co.uk posted a very interesting article about how VMworld Europe is shorter,costs more and has a staggering amount less unique sessions. Thankfully as Ed mentions the sessions from VMworld San Francisco should be online by mid September so if you have registered to attend either of them you will be able to see all the sessions online at VMworld.com.Also the VMworld 2009 sessions and labs are now open for public viewing. I have heard that if sessions go well at VMworld US then they will be asked to present at VMworld Europe. Don’t hold me to this as it is just what i heard but it does make sense and will hopefully bring some of the top unique sessions. Whilst most of the news is about VMworld there has been a large amount of news not directly related to VMworld. Also a big congratulations to Eric Sloof(@esloof) on being awarded as the best freelance VCI of the quarter. 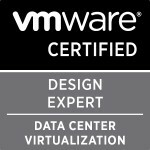 Eric’s blog is always a great source for any kind of VMware related course or news and is a blog i would recommend adding to your RSS feeds. Talking of the courses to prepare you for the VCAP exams i asked the same question on twitter to see what people recommended and Jonathon Medd(@jonathanmedd ) pointed out his belief that there would be no need for the PowerCLI course due to himself,Alan Renouf, Arnim van Lieshout and Glenn Sizemore currently writing a PowerCLI book that should teach you everything you should need to know to be able to utilise PowerCLI in the environment. As Alan says in his blog posting the book will be be written by “4 vExperts and a MVP” so you know it is going to be a brilliant resource. Jonathon has told me to stay tuned for news of it’s release. Talking of books the much anticipated HA and DRS Deepdive by Frank Denneman( @frankdenneman) and Duncan Epping ( @DuncanYB ) is due to be released very soon. These guys are two of the top guys in the industry and for anyone that has tried to read through the whole of Duncan HA deepdive posting will know he is the perfect person to write about the topic. This book is on my list already to buy and I will be keeping a keen eye on it’s release. Mike Laverick (@Mike_Laverick) at RTFM-ED.co.uk is also running a competition to win the trainsignal (@TrainSignal) VMware vSphere Pro Volume 2 video series.- find out the details at www.rtfm-ed.co.uk. While on the VMware communities this morning seeing if i could help answer any questions I came across an unusual thread where someone asked for the 10 most common issues in VMware with the steps to fix these problems. True to form a few people replied and i thought their answers were actually quite interesting. Especially the one by Petri all about the ten best ways to increase performance for your VMware environment. Also the top ten KB articles at the time is a great page I’ve added to my favourites to frequent to try keep up to date on the latest problems and solutions happening with VMware products. Last but not least is a posting by Maish Saidel-Keesing all about him creating a VERY useful Google spreadsheet of all the VMworld sessions and the information about them. This is going to come in handy for sure especially when I’m sure I’ll arrive at a session at VMworld Copenhagen and it’s full already and i have to find another sessions to attend. Categories: Virtualisation | Tags: VCAP, VCAP-DCA, VCAP-DCD, VCDX, VCP, VCP4, VMware, VMworld, VMworld 2010, vSphere 4.1 | Permalink.